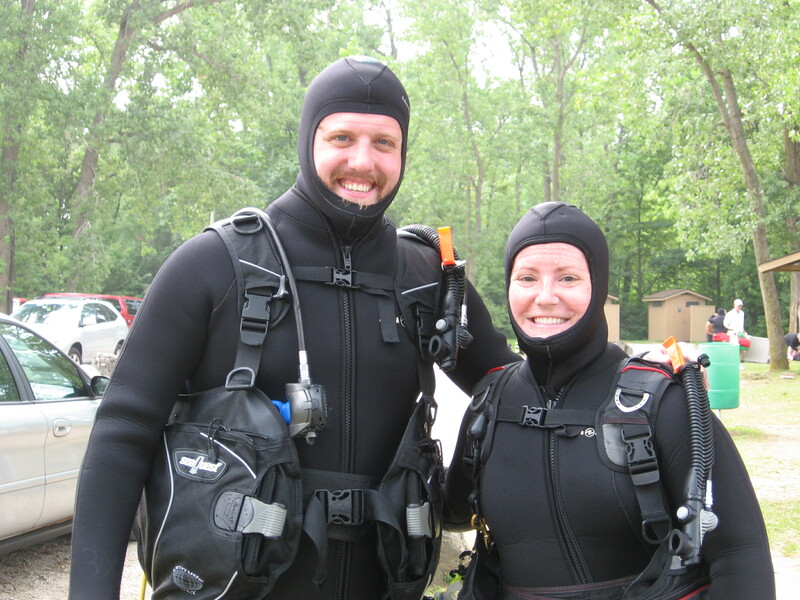 My husband has wanted to try scuba diving for a long time. It was never high on my bucket list, but I try to be open to new experiences and he has certainly demonstrated his willingness to accommodate me in my pursuit of some crazy personal and professional goals. I decided this spring was finally time to act. We are now in our 30s (crazy! ), and we’ve been putting it off for years, arguing that we we’ll wait until we have more time and money to really commit to the hobby. It’s becoming more apparent to me with each passing day that there’s no time like the present so I decided we would just go for it. My parents and grandparents went in with me to buy him lessons for his birthday. I paid my own way so we could do it together, and he was thrilled. We spent the next several months signing up for our training sessions at Just Add Water and purchasing our own fins, masks and snorkels in preparation for our training. The training happened over two weekends and involved a mixture of classroom exercises and closed and open water training. We had to watch a DVD, read a book and complete a number of quizzes before the first class. We had to participate in classroom lectures where we reviewed the readings and asked questions. We had to then implement those techniques in a pool for two days. What I did not anticipate was that the majority of the skills you learn are related to things that could potentially go wrong. Here I thought the only way you could potentially die scuba diving was if you ran out of air. While that’s an important one, there are about a hundred more. Some of the things we learned really freaked me out. Like how to clear your mask if someone or something bumps into you and it floods with water while you’re 40 feet down. Or how to calmly retrieve your regulator if it somehow gets pulled from your mouth (believe me, it puts you in a near immediate panic when the things that’s providing you with air is NOT in your mouth. And how to continue breathing calmly through your mouth if you mask gets ripped from your face and you have to try to swim to the surface without being able to see. Or how to breathe on your way down and up so your lungs don’t over expand and burst. I was a wreck. But I tried to keep in mind these were all worst case scenarios. Wouldn’t I rather know all of the potential issues and how to address them rather being caught in the moment 60 feet under water? Yes. Yes, I would. And we did. The class was tremendous. Our weekend out at White Star Quarry for our open water training had me near panic, but it was awesome to put to practice what we had learned on our own, in class and in the pool. After successfully completing all the training and skills, we received our certification for open water diving up to 60 feet. At this point, that’s as far as I want to go. My husband is already talking about taking some of the advanced classes, which teach you other specific skills and also give you the ability to dive deeper. I am very open to improving my skills, but I think I’d like to get a few more dives under my belt before we start going any deeper. We are going to try to come back to the quarry to dive on our own once more before summer is out to keep our skills top of mind. 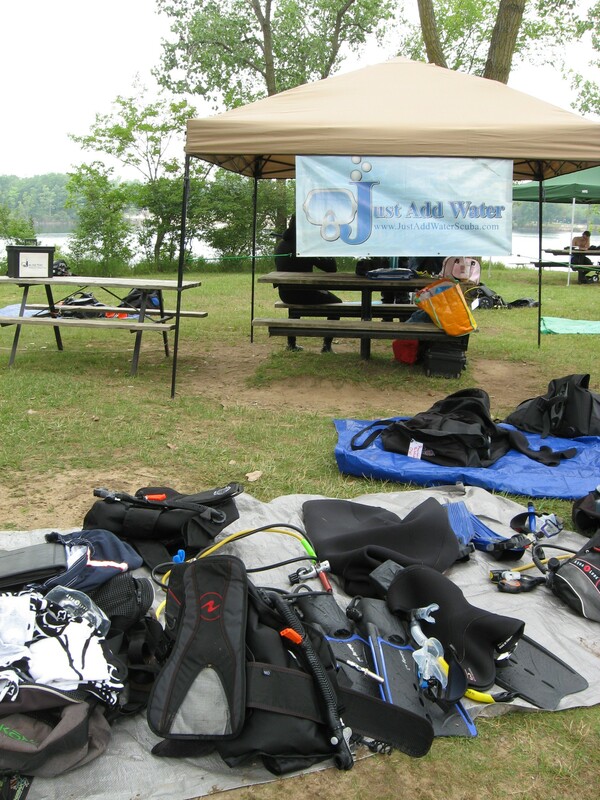 This is a great place to dive as early learners because there are always divers here with a dive shop and EMS nearby should anything go wrong. It’s also a fun place to explore. They sunk all kinds of interesting things, like wooden and fiberglass boats, a motorcycle, a sailboat, a Frito Lay trunk and more. They also hid weird statues and funny items along the walls so you can swim along and see how many you can find. What’s most exciting to me is this opens up a whole new world for us when we travel. Not only will we get to visit places and explore everything they have to offer on land, we may be among the few who also get to explore what’s below. We have to dive within six months to keep active, otherwise you have to take a refresher course. That means I’ll probably need to plan a trip somewhere in January/February so we can get a dive in.